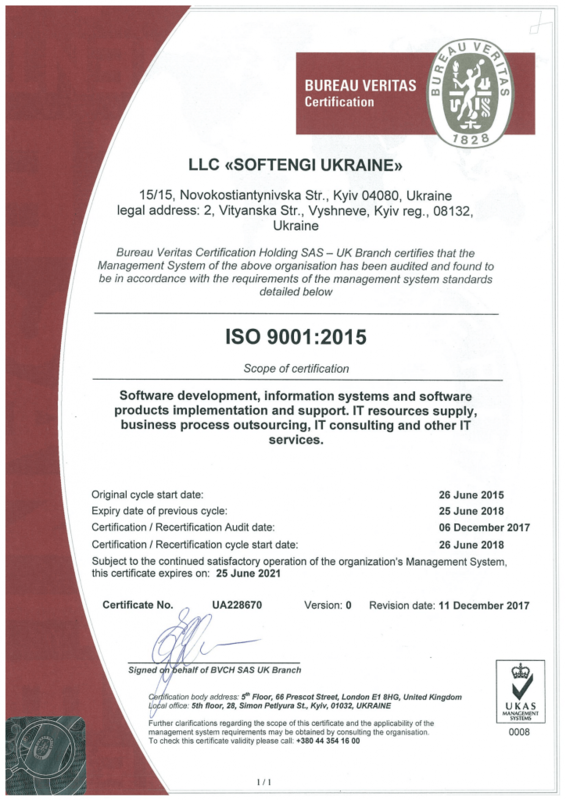 Bureau Veritas Certification Holding SAS – UK Branch has conducted an audit of Softengi’s Management System and found it to be in accordance with requirements of international standards. The scope of certification included software development, information system implementation & support, IT resources supply, Business process outsourcing and other IT services. It’s not the first time our company affirms its conformity to ISO 9001. It is the most popular standard in the ISO 9000 series, which are used by organizations to demonstrate the ability to consistently provide products and services that meet customer and regulatory requirements.